This soft velvet sheath is the perfect protective cover for your scimitar. This soft velvet sheath is the perfect protective cover for your scimitar. Soft velvet material can be sewn to adjust for smaller scimitars. Velcro closure. Fits blades up to approximately 26.5 inches in length. This was a great buy. Inexpensive, and it fit my silver Scimitar perfectly! No more scratches! Q: Does this fit the swords you have for sale on this website? Thank you for your question. 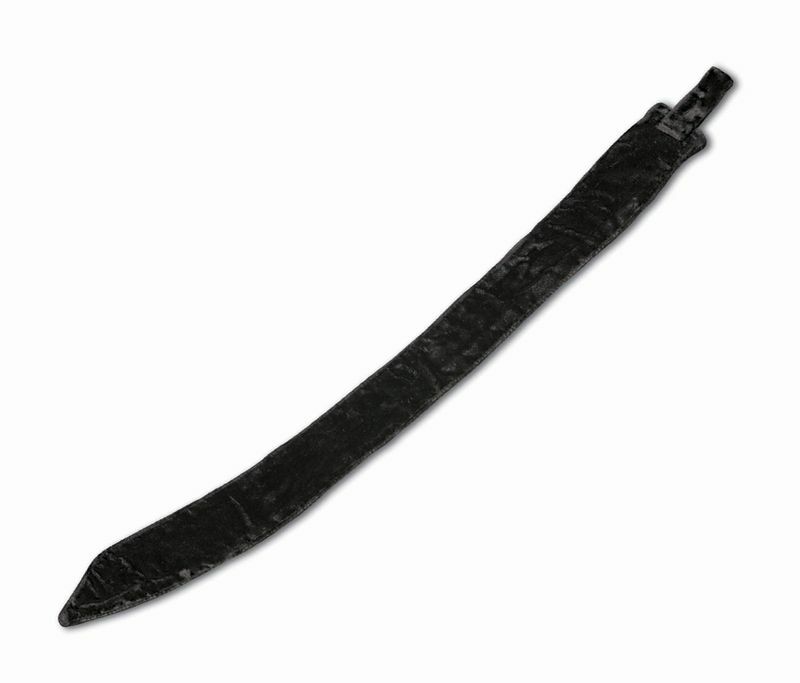 This black velvet sheath will fit blades up to approximately 22 inches in length and will fit our Ornate Brass Balancing Scimitar (Item #7080). Our other swords have longer blades and come with their own sheath. For future reference, details and sizing information for our products can be found in the Description box located below the photo on the product page. I hope this helps.